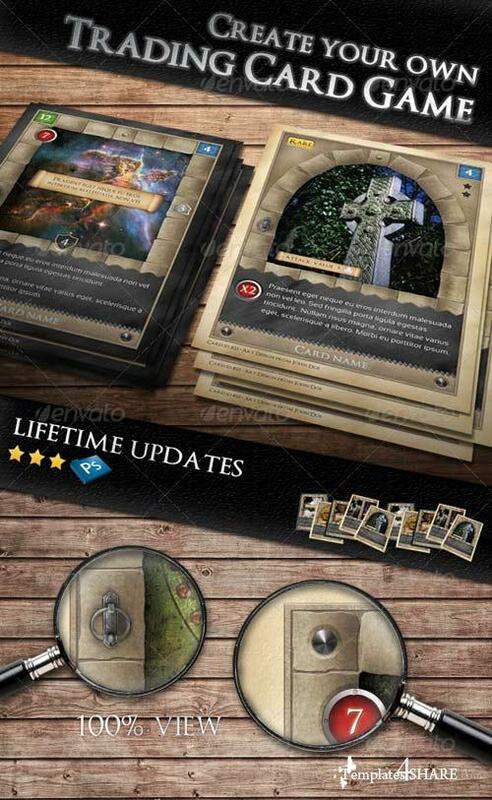 With this set you can create your own trading card game. 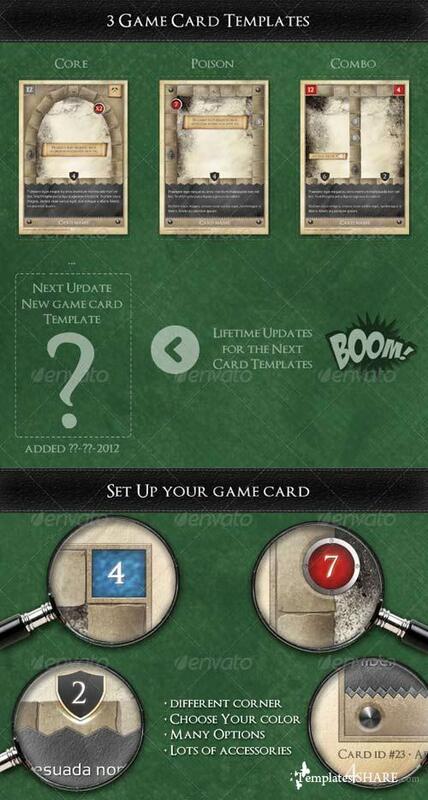 Different Game Card Templates. 9 Backgrounds. Lots of materials. Full Organized Layered. Smart Objects. Photoshop Vector Icons.